Marlene holds a BA in philosophy and Freudian and Lacanian psychoanalysis from Dublin Business School (2003, grade 2.1) and an M.Sc. in Psychoanalytic Psychotherapy, with a Clinical Specialization, from the University College of Dublin and St Vincent’s University Hospital (2006, first class honours). 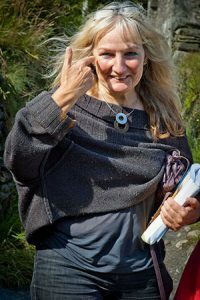 Marlene is a registered practitioner with APPI (Association for Psychoanalysis and Psychotherapy in Ireland) and a member of ICLO (Irish Circle of the Lacanian Orientation) since its foundation in 2009. Marlene has been in private practice since 2004. She practices psychoanalysis inspired by the work of Sigmund Freud and Jacques Lacan.